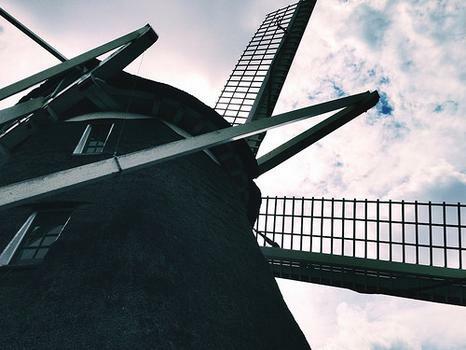 The Van Sloten Windmill is a reconstructed functional polder draining tower mill from 1847 on Akersluis along the Ringvaart in Amsterdam. The Van Sloten Windmill is a reconstructed functional polder draining tower mill from 1847 on Akersluis along the Ringvaart in Amsterdam. The octagonal Stellingmill is the only mill open to the public in Amsterdam, and is even available for weddings. Guided tours of the windmill explain the operations and optimization of the windmill according to wind direction. There is a small presentation ‘Rembrandt in the Attic’ which showcases the life and works of the artist whose father was a miller. On premises is a Coopery Museum which presents the process of making wooden barrels.